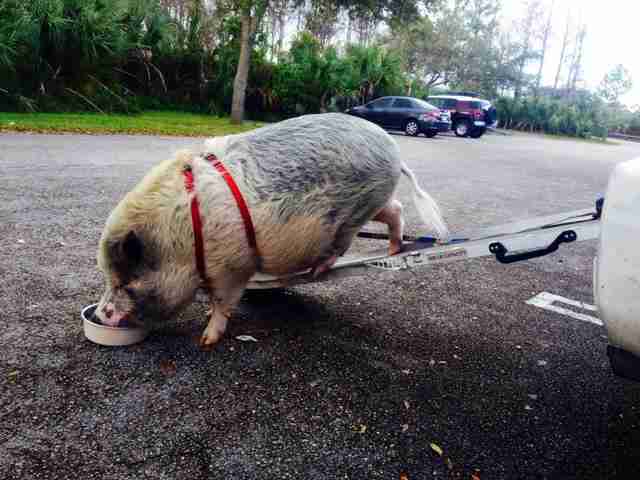 Kristin Hartness had wanted to own a pig since she was a little girl. As a bartender on the island of St. John, she decided to make that childhood fantasy a reality. 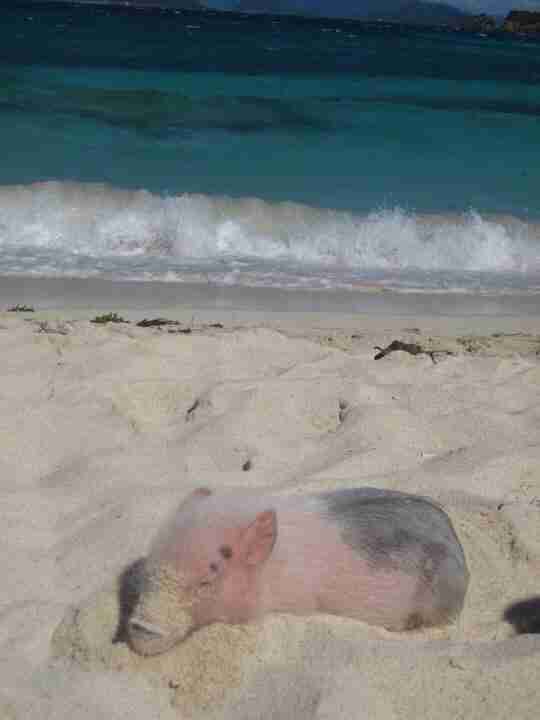 But like so many people who dream of having a "teacup" pig, she soon realized the reality was much different. Ziggy was supposed to be just 25 pounds. When Kristin and her partner Jay Yontz met him Ziggy at a breeder's, he was a sweet little 4 pounds. About two months after welcoming Ziggy into her life, she realized he would be quite a bit larger than advertised. "[A neighbor] bought me a book about how to raise a mini pig and I was scared to death when I realized pigs grow until they were 4 or 5. Ziggy already weighed 15 pounds." 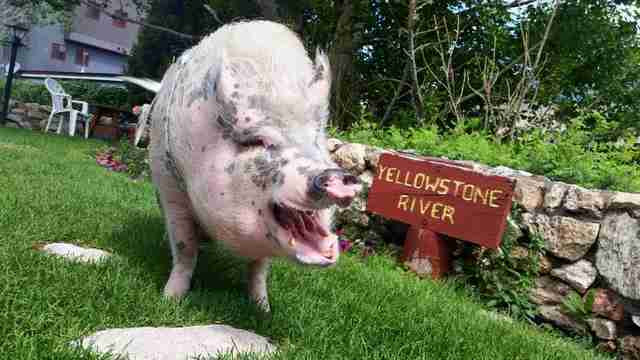 Now 5 years old and 250 pounds, he's since gained fame as Ziggy the Traveling Piggy. But it's been a long road. Because of Ziggy's size, it had become more difficult to find a home on the island. So, Hartness and Yontz made the decision to move back to the United States, where they were from. 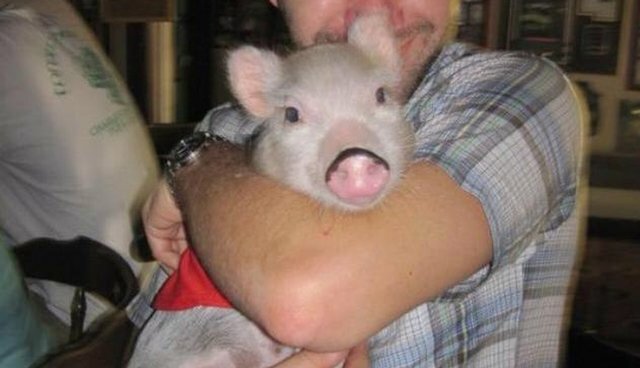 The dedicated pig parents spent two years working and saving up so that their little family could travel back together. 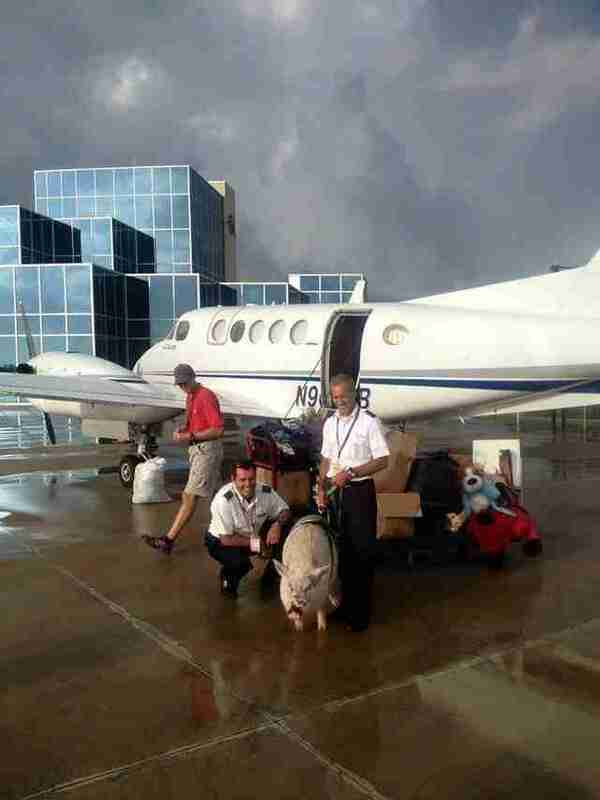 Pigs can't fly? Challenge accepted. When they were told they needed to be out of their house in two weeks, the pair looked into every possibility to accommodate Ziggy's journey - commercial airlines, cruise lines and even cargo barges. "The only way we found to get our boy back is to charter a $15,000 private plane," Hartness says. She adds that it decimated their savings, but was absolutely worth it. 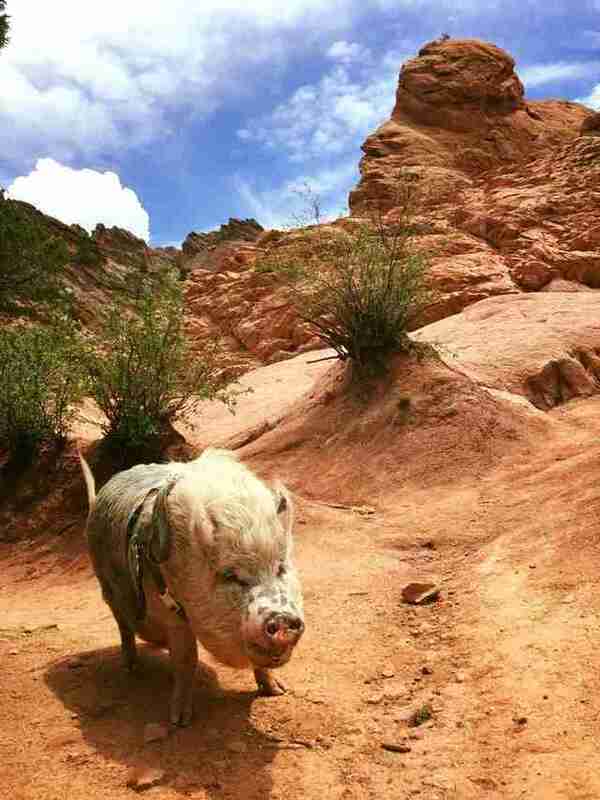 This island pig goes country! After the big move, Kristin and Jay bought a 38-foot RV so they could do what they love: travel with their 250-pound baby. Ziggy loves sandy beaches, water and warm weather, so it was a no-brainer to spend last winter in the south. But they did manage to crawl up to the northeastern states and hike some mountains, too. "Some days Ziggy hikes up to 5 miles, and is always the leader," Hartness says. But it's not all giggles and trails. 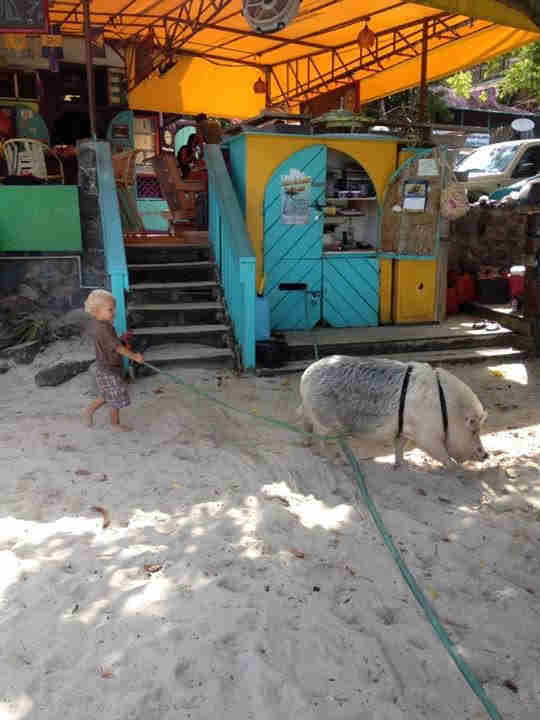 Traveling with a 250-pound pig is a full-time job, and it can be hard to find locales that are big pig-friendly. 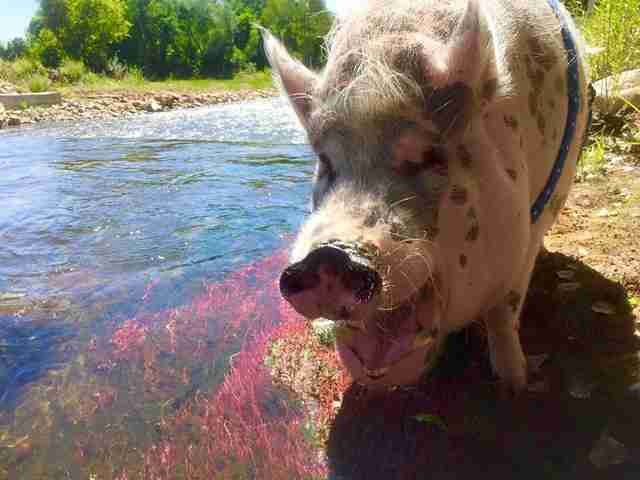 "Ziggy is very active for a pig," Hartness says. 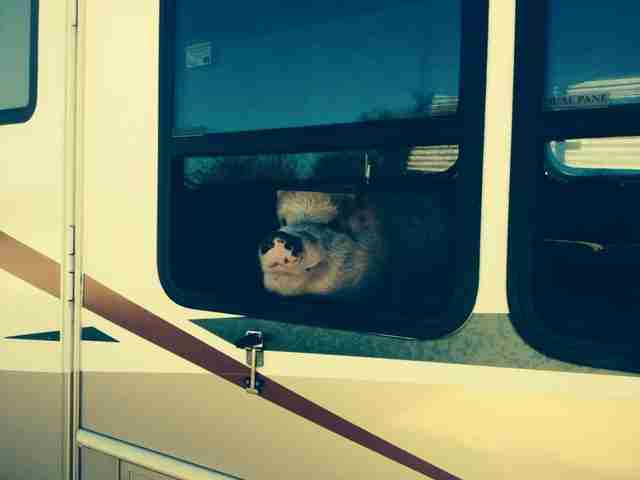 "He wants to go, go, go all the time, and it's very difficult when we live in an RV with no fence. So we're literally walking, hiking, adventuring for hours and hours a day. It's fun, though." There are a lot of people who don't understand. "People said some very ugly things to us about how much effort we were putting into our move [from St. John]," Hartness says. But for this pig mom, giving up her son was not an option. And Ziggy loves getting into trouble wherever they are. 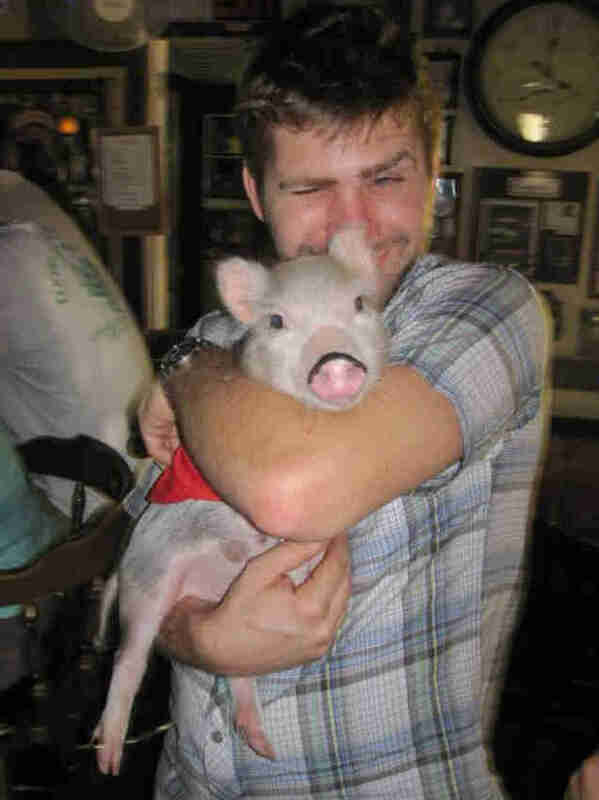 "People always say, 'having a pig is just like having a dog.' Wrong!" Hartness says. 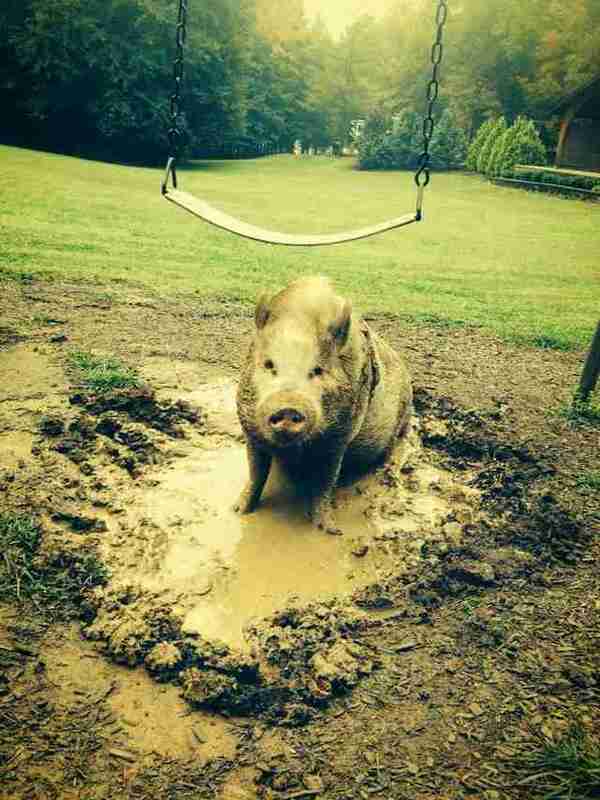 "Owning a pig is like having a 4-year-old kid in a pig suit that never grows up." 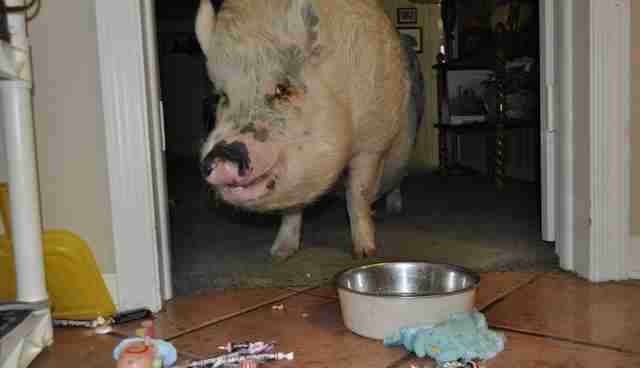 Just like kids, pigs are smart, curious, and playful, which can make for some real mischief. "When Ziggy wants something he will find a way to get it," Hartness says. Ziggy also makes friends wherever he roams. "People are always stopping us and usually asking us the same exact questions that everyone else asks," Hartness says. On Ziggy's Facebook and Instagram pages, there are tons of pictures of him with fans from all over the country. Hartness occasionally encounters people who just don't understand, or are downright cruel - "especially the questions like, Is he going to be bacon?'" she says. But Ziggy has inspired other people to give up meat, she adds. Kristin and Jay are hoping he can change many more minds. 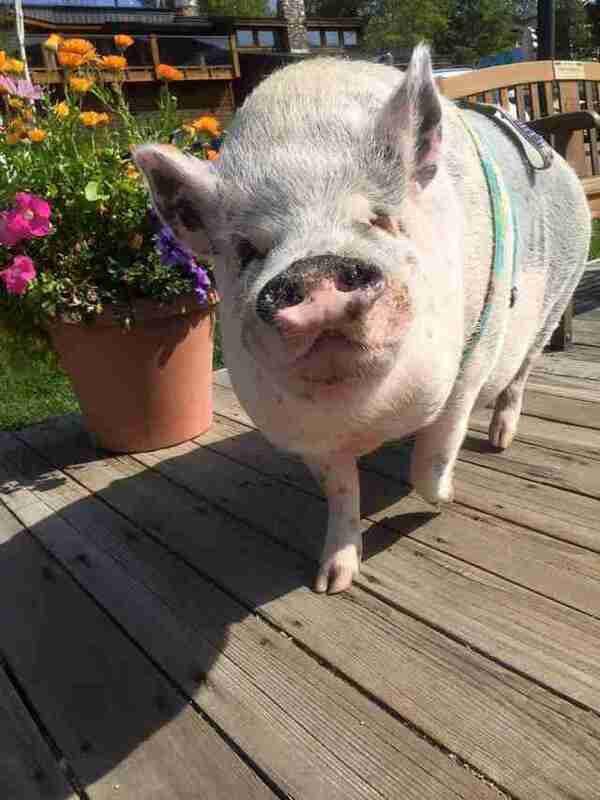 Hartness also hopes that by having an active social media presence, they can prevent more pigs from ending up in shelters when they get past the "teacup" phase. 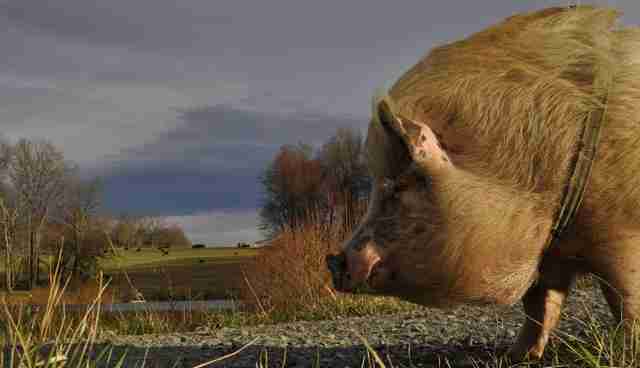 They also want to encourage more people to adopt instead of buy in order to end the cruel breeding industry and give deserving pigs the chance to have fulfilling lives in loving homes. To keep up with Ziggy's adventures, like his Facebook page, and follow him on Instagram and YouTube.